Description: For pumping and cooling the water that flows through the laser tube. Maintains a water temperature less than the set threshold to keep the laser tube cool. This item is typically included in laser systems with higher than 60 watts. The dimensions are 11.5 wide x 22.5 long x 19 tall (including handles) inches. 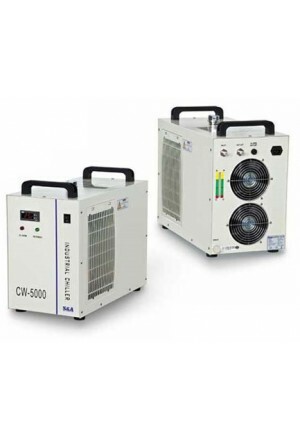 Available in 230 and 120 VAC versions. 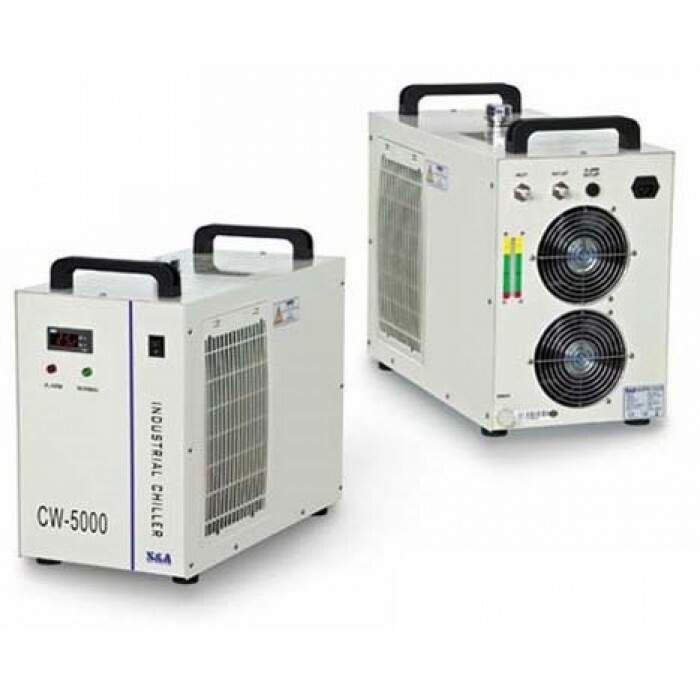 Please be careful to select the proper 110VAC or 230VAC voltage when purchasing the chiller.